To say the last few months at Argon have been hectic would be a grievous understatement. We’ve had more announcements than you can shake a rather large tree at with babies, comings, goings, a very special birthday and a very exciting ‘office move’ all earmarked for the coming months. Here’s a taste of some of the news that’s been developing. Adding to the Argon Family. We are thrilled to announce the addition of two new Argonauts, Jacob and Mark. Jacob has worked with Argon since the start of the year, in a part-time role, but has stepped up into the position of full-time Digital Designer in November. On top of his promotion to full-time employment Jacob was also promoted to husband in October when he married his high-school sweetheart Courtney. Congratulations to you both! Mark brings with him a wealth of experience as our Creative Director, after 26 years of designing and directing in the creative industry. We’ve had the pleasure of working with Mark in a previous role so we’re very familiar with his skills and experience… but it’s fair to say we’re still adapting to his inner-office singing voice. We warmly welcome them both to the team and we’re excited to be kicking on with them into 2017 and beyond! Adding to the extended Argon Family. Continuing the theme, Argon also has the pleasure of announcing three separate pregnancies! Managing Director, Jason and his wife, and Argon Developer, Sandy are the first cabs off the rank with son Jake John Lehman entering the world on October 16, 2016. Jake is the first addition to their fledgling family and, while Sandy is on maternity leave, Jason has made his way back into the office bleary-eyed but in the highest of newfound fatherhood spirits. Production Manager, Katrina is now also on maternity leave with her, and husband Craig’s, second child expected in early December. Katrina will be taking a break from the office until later in 2017. And last, but definitely not least, our Web Designer Yusuke and his lovely wife Yuki are also expecting the arrival of child number two in January. 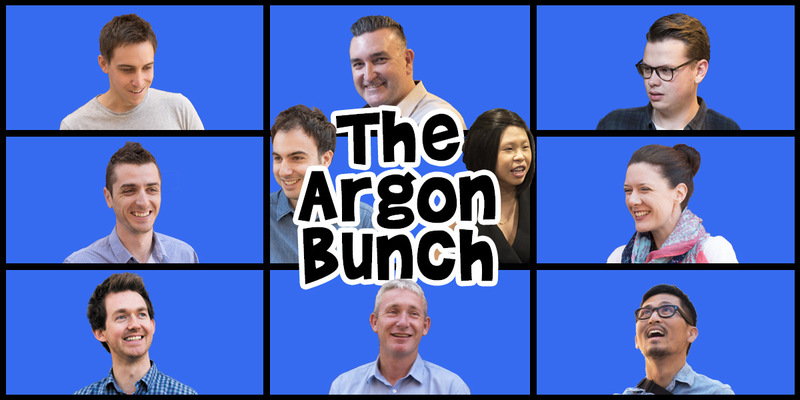 We’re looking forward to the safe arrivals of all the ‘Argon babies’ and welcoming them into the Argon family. One of our own is off on an Adventure. We sadly say bon voyage to our Studio Manger, and intrepid traveller, Josh who will be setting off on an Australia-wide journey in 2017. Since starting work for Argon in late 2010, Josh has been feverishly working away in the design department, keeping the Argon blog afloat, acting as chief photographer and organising various office events; all while travelling back and forth to Europe, not once, not twice, but three times! While Josh won’t be in the studio from March onwards he’ll still very much be a part of the furniture as he works for Argon remotely from various places throughout our sunburnt country. We wish Josh all the best on his journeys and look forward to catching him when he makes it back to Adelaide.